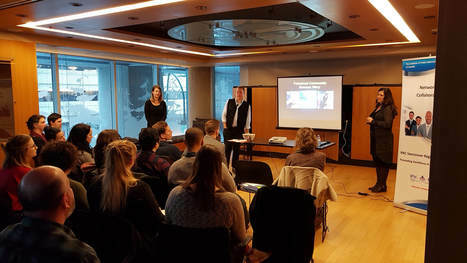 In partnership with the BC and Yukon chapter of the Canadian Evaluation Society, IPAC Vancouver held a very successful speed mentoring event on June 7, 2018 at the Roundhouse Community Centre! Nine mentors shared their insights on topics including: communication, teamwork, sustainability, and career development. IPAC Vancouver hosted an informative and dynamic discussion and dialogue on Research in an Era of Reconciliation. The 94 recommendations of the 2015 Truth and Reconciliation Commission (TRC) have generated responses at all levels of government and across all post-secondary and many non-profit institutions. The session focused on responsive research as an important consideration for working in partnership with Indigenous groups and communities. The speakers, Jacqueline Quinless and Jeff Corntassel, shared their experiences and perspectives regarding strong local community relationships and a deeper understanding of cultural protocols as a key step from which to build progressive partnerships and make meaningful investments that focus on positive change. Considering the links between culturally responsive research and better socio-economic, health, and environmental outcomes. 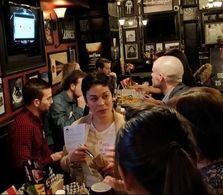 IPAC Vancouver successfully launched our new Policy and Pint event series, set to engage Vancouverites in important conversations about public policy in BC and Canada. 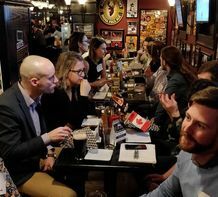 For our first "Policy and a Pint" of 2018, IPAC Vancouver gathered people who are interested in discussing how the country and province are shaping and creating the cannabis industry in regards to the soon to be implemented change in legislation of non-medicinal cannabis. 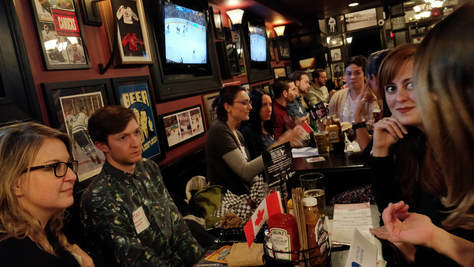 Twenty five participants, who ranged in background and experience in public policy, gathered at the Pint Pub, to engage in lively discussion on topics such as: consumer expectations, impact of non-medical cannabis use in the work place, who is responsible for research and evaluation, how edibles will be regulated, as well as many other topics regarding the impact of the new cannabis legislation. IPAC Vancouver is currently in the planning stages for the next Policy and Pint event! To stay in the know follow us on Facebook, twitter or join our email distribution list and look forward to our next newsletter. The Task Force released a report earlier this year that is really comprehensive (and long at 112 pages) but it identifies the most important themes around cannabis legalization. The BC government released an 8-page discussion paper on the issue specific to the province. The most recent report from the Council of the Federation. A news release from December 5th on some of the key decisions made in BC. (From Left to Right) Garrick Bradshaw, Filip Jaworksi, Paul Mochrie, Trish Sterloff, and Teara Fraser. 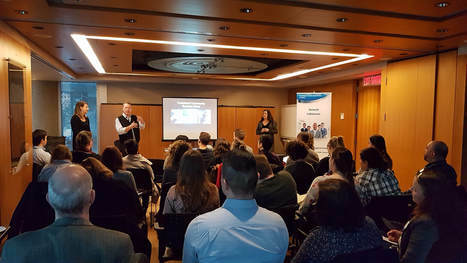 In collaboration with SFU School of Public Policy, participants and speakers connected for a dialogue about how job and career opportunities are shaped by learning from, and among, leaders. The session kicked off with opening remarks from IPAC Vancouver Chair, Blair Polychronopoulos, followed by a high energy introduction by moderator Garrick Bradshaw. The keynote address by Paul Mochrie, Deputy City Manager, City of Vancouver, shared initial perspectives on leadership, proposing that "all leaders need to be operating with a talent management mindset." He also stressed the importance of talent management and investing in people, not just financially, but listening and helping individuals reach their full potential, commenting that "mentoring takes energy and commitment." 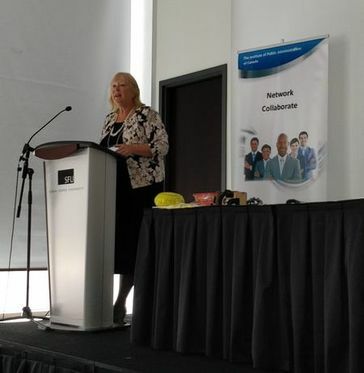 Susan Ney stressed the importance of asking staff what they need to feel engaged and encouraged everyone to 'own it' when it comes to succession planning and learning. The importance of building trust was also emphasized, not being afraid to make mistakes and know your own potential, learn who you are and be true to yourself. Participants engaged in a lively question and answer session with the four panelists consisting of Paul Mochrie, Deputy City Manager, City of Vancouver; Trish Sterloff, Executive Director, Corporate Succession Management, Talent Management Division, BC Public Service Agency; Teara Fraser, CEO, Raven Institute; and Filip Jaworksi, graduate student at Simon Fraser University’s School of Public Policy. The panel provided personal and organizational perspectives on how succession planning can work effectively and how to address challenges. The panel also talked about how to learn from leaders at all levels, how asking good questions is important for constant learning and "knowing when to pitch ideas is key." There was agreement among panelists that "a good leader makes complex issues simple by understanding what matters." 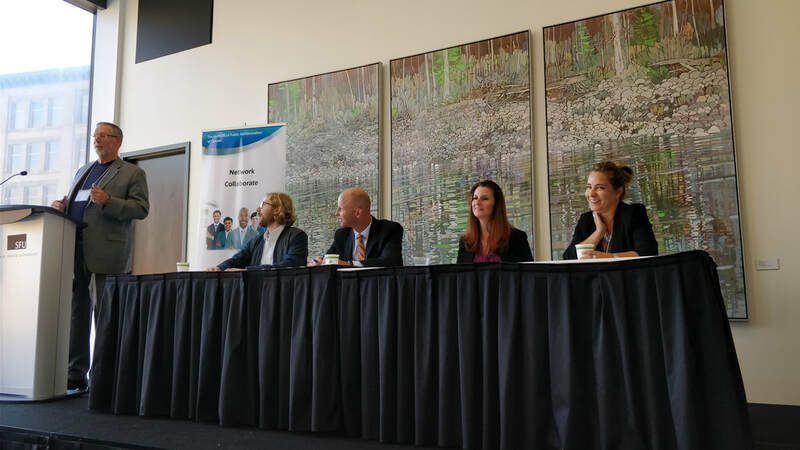 This session showcased the rich dialogue and the true learning among leaders that takes place at IPAC Vancouver events.